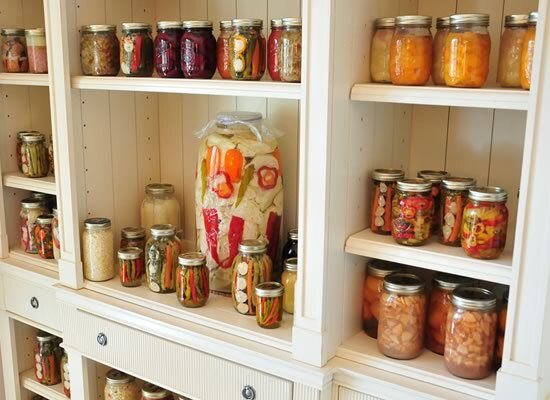 The National Geographic Channel debuted their new program Doomsday Preppers last night. On first hearing of the show, I was exceted and hoped that despite “Doomsday” in the name, that it would present a fair view of the millions of Americans and those of other areas of the world who feel that being prepared and self reliant is important (not to mention fulfilling). The promos, on the other hand, felt to me like it was merely a parade of people who were excited at the thought of mayhem. I’ve posted the promo below—did any of you see the show? What did you think? Were preppers done justice or not? This story from the AP relates closely to the article about online police scanners that we’ve talked about in the past. For more information on police scanners, see that article which has been updated with our favorite police scanner smartphone apps. “The practice of encryption has become increasingly common from Florida to New York and west to California, with law enforcement officials saying they want to keep criminals from using officers’ internal chatter to evade them. But journalists and neighborhood watchdogs say open communications ensure that the public receives information as quickly as possible that can be vital to their safety. I’ve been disappointed on countless occasions to pull up to my favorite shooting spot on BLM land and see it littered not just with brass, but shotgun shells, wood crates, glass bottles, televisions, computers, water heaters and all sorts of other trash left behind by people too lazy to pick up after themselves. I see it as a privilege to be able to shoot on that land without range fees and without the need to follow someone else’s rules. Apparently others see it as an invitation to leave the manners at home and litter openly—in most cases to a severity they would never even consider doing on the side of the road or in their neighbor’s back yard. When I go to this area, I take garbage sacks with me and when we’re done shooting, we spend a good 20 minutes cleaning up other people’s garbage (in addition to our own) in the hopes of dispelling the reputation that shooters are so often labeled with. I encourage you to do the same. Let’s all work together to keep the freedoms we enjoy—in this case, I don’t believe it’s so much about politics as manners and a common sense. Everybody knows that saving money is smart. Here’s why spending money is stupid (or at least affects you more than you’re trained to think). When I was in college, I worked two part-time jobs. Together, the money I made from them pretty much covered my rent, food, and activities each month—but that still left me with the daunting hurdles of tuition and books to pay for each semester. While most students were applying for grants and scholarships, I turned to credit cards and float time on my personal checks. When I explained the principle to me wife, she said “Yeah. Most people call that ‘opportunity cost.’” Opportunity cost is probably the only subject of economics (a class I took twice) that I actually understood. It’s a fascinating subject, and if you’re not familiar with the concept (or even if you are), reading its entry on Wikipedia is a great refresher. Opportunity cost is the value of the next best (or better) thing you could do with your money. “Double cost” is saying that because you’re spending, you’re losing your money plus your power to choose that next-best option. This loss equals 2x the dollar amount you’re paying out. When combined with opportunity cost, the theory gives you a much more clear impression of the importance each financial decision really holds. When I first realized my theory, I was starting to see that if I put 400 dollars toward my debt, it wouldn’t make much of a difference in the balance on my card. The debt was too large, and when including interest, wouldn’t show a true $400 paydown. On the other hand, if I took the $400 and spent it on a new stereo system, not only would I lose my $400, but my debt load would increase. When in debt, the $400 didn’t have the power to make me $400 richer, but if spent, it would make me nearly $800 poorer. How? Because once I used that purchasing power, it was spent. Gone. And not only was it gone, but my ability to pay down my debt was also lowered by $400. That’s the double cost of spending. It’s not strict mathematics and no company will include opportunity or “double” costs on their balance sheet, but in the real world—when we’re dealing with humans, debt, minds, and dollars, the money you spend has twice the impact (or more as I’ll point out next) as the dollar value we naturally attach to it. When a person carries debt, additional factors push the effect of spending to more than double. Not only are you spending the money and losing power to pay down debt, but you’re also preserving the principal that you’re being charged interest on. In effect, spending the $400 is also paying 15% (or whatever your rate is) interest on it and adding to your debt horizon! In addition, because you spent your money, if you have a new required expense (utilities, mortgage, whatever), you may have to pay that expense on credit, making the cost of that $400 even steeper. Of course spending money isn’t evil. If you never spend money, there’s really no reason to have any in the first place. But spending wisely, and realizing the double cost of everything will help you to prioritize and see your costs for what they really are (think double). Hopefully looking at money in this way will help us to realize that we have a responsibility to save, spend, and invest wisely. If we have a family, they depend on us. And if we want to be contributors to society (which all good citizens should), we must have the means to actually contribute. Being responsible goes a long way in cutting debt and building real wealth. Once we realize the true impact of our financial decisions, it becomes easier to make decisions that will prepare us for good times and bad. Once I learned my lesson, I started a savings account and put a small percentage of everything I earned into it. Some would argue that the time to save comes after debts have been paid. But now that I understood my human nature, I knew that I needed to start a habit. I also began paying down my debt with everything that wasn’t going to savings or reasonable living expenses. Today (despite the economy) I feel safe, secure, and prepared. 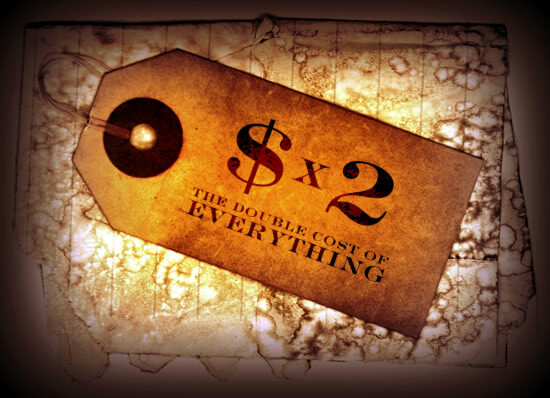 I credit that security to my discovery of the true price attached to each expense—the double cost of everything. The Brady Campaign came out with their 2008 State Scorecard today. The scorecard ranks all 50 states as determined by how close they stick to Brady’s common sense gun laws. I’ll leave it to you to decide if being at the top of the list is a good thing or not, but it seems to me that those states at the bottom have a generally smaller problem when it comes to crime committed with firearms. Turn the scorecard upside-down, and you get an accurate ranking of true common sense gun laws—where law-abiding citizens have the right to defend themselves and their families from criminals who show little respect for any gun law—”common sense” or not. You’re all doing something right. I received an email from “DL” about a few days ago asking if I had any recommendations for police scanners for her 72-hour kit. Unfortunately, I don’t have any recent experience in the area, but told her I’d do some looking around. 5-0 Radio Lite- This is free, pretty basic scanner and the one we use most. Also available is 5-0 Radio Pro which we have not tested and is $1.99 in the Apple App Store. 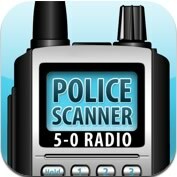 Police Scanner – This app is $4.99, so we haven’t tested it. Obviously these sites won’t be reliable in a disaster situation (lack of power, internet, computer, etc), so they’re no replacement for an actual scanner (especially battery-powered, handheld units). But they can be a lot of fun—and useful for those of us who spend a lot of time at the desk. Plus—they’re free! After receiving her question from DL and thinking about the benefits, I’ve been looking for a good handheld scanner to add to my own bugout bag. I still haven’t decided on what to pick up (a lot of the scanners around $100 on Amazon have pretty mixed reviews), so if you have suggestions, please let us know. Read the full agenda here (see Urban Policy: Crime and Law Enforcement). The language in this policy opens the door (or perhaps more appropriately, the flood gates) to making it more difficult for people to buy, own, trade, gift, train with, and use guns, as well as the establishment of a gun registry, a ban on guns that sound and/or look scary, and I’m predicting, a massive buy-back in the near future. For the thousands of people in the Northeast and Midwest, these are the coldest temperatures you’ve ever experienced. Frostbite is a real danger that occurs when flesh freezes, forming ice crystals that can damage your cells. This “Staying safe in a deep freeze” article on MSNBC prompted today’s quick tip. Bundle up! Wear a hat, coat, gloves and/or mittens, good boots (with an extra pair of socks), and don’t pretend you’re too manly to wear a scarf. Hand and toe warmers are also great for keeping the frostbite at bay, but make sure you don’t place them directly against your skin for extended periods of time. Most commonly affected areas are the fingers, toes, ears and nose. The skin will likely be hard, feel numb, and may look waxy, white or grey. In extreme cases, frostbite will create blisters, can turn skin black, and cuts and cracks in the skin will appear. These cases are serious and should be treated by a doctor as soon as possible. They can lead to permanent nerve damage, gangrene, and may require amputation. When dealing with minor cases of frostbite, warm the affected areas gradually. Using blankets, room temperature, or the body heat of another person is the best way to thaw frozen flesh at home. But DO NOT rub the affected areas or break any blisters! DO NOT use hand warmers directly on the skin, and do not use hot water. If you do decide to use water to re-warm affected areas, be sure that the water is just above body temperature. After re-warming, gently dry skin and keep fingers and toes separated from each other with sterile bandages (and without adhesive). The thawing of frozen flesh is extremely painful. I recommend you take a good dose of ibuprofen or other painkiller while treating frostbite. Hypothermia is a real threat at these temperatures and can be even more serious than frostbite. If you can’t stop shivering, listen to your body and get inside. An interesting report from The Register talks about NASA’s warning of a “Space Katrina” in which our communications and other electronics could be knocked out by massive solar winds. The US military has previously warned of the risk of a “space Pearl Harbour” – a devastating surprise attack against America’s space presence, which could leave the world’s sole superpower blinded and crippled. According to the National Academy, though, the USA should forget about a space Pearl Harbour and worry instead about “a space Katrina, a storm that we should have been prepared for but were not”. In 1989, the sun unleashed a tempest that knocked out power to all of Quebec, Canada. A 2003 sunstorm included 10 major solar flares over a two-week period, knocking out two Earth-orbiting satellites and crippling an instrument aboard a Mars orbiter. Attacks in space and from space, in addition to the more common terrestrial threats we face, certainly provide plenty to keep us occupied in our preparations. 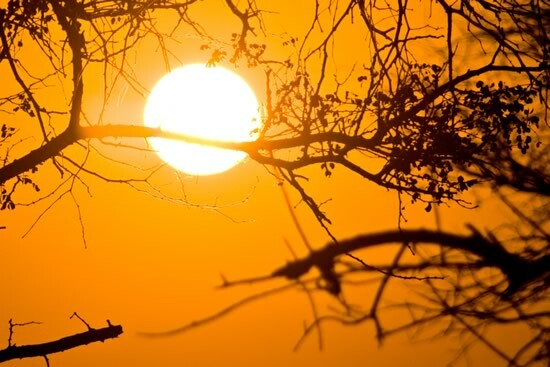 What can we do to prepare our homes and families for solar events? We’ll have a summary of potential effects as well as tips for practical preparation.